松本 陽子 「振動する風景的画面」Yoko Matsumoto "Landscape-Like Surface Vibrates"
Hino gallery is pleased to present a solo exhibition by Yoko Matsumoto entitled “Landscape-Like Surface Vibrates” from Monday, April 10th, 2017. There may be no singular artist who has so vehemently admired painting for their entire life whilst preserving an undying passion for drawing and painting as much as Yoko Matsumoto. She began her career as a painter immediately after graduating from the oil painting department at Tokyo University of the Arts in 1960. Despite a remarkable debut, she struggled to master the medium of oil paint but whilst staying for a year in New York in the late 60’s, she discovered acrylic paint. 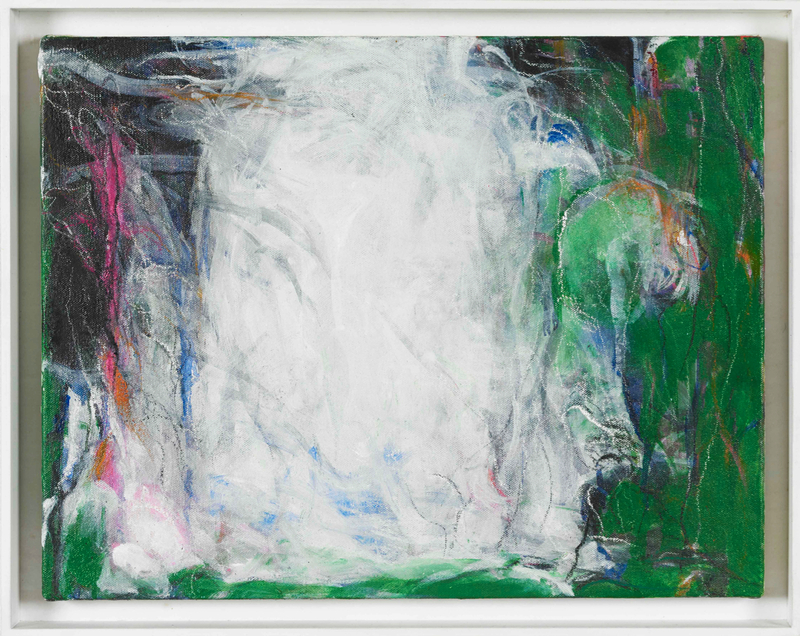 Using this new material, Matsumoto found that the brightness and transparency of the fine colours could be controlled with water, and she produced a series of pink abstract paintings, which became her representative works called “hazy painting”. At the beginning of the 21st century, Matsumoto developed the pink painting series to a certain point where she felt a sense of achievement, which encouraged her to move further. 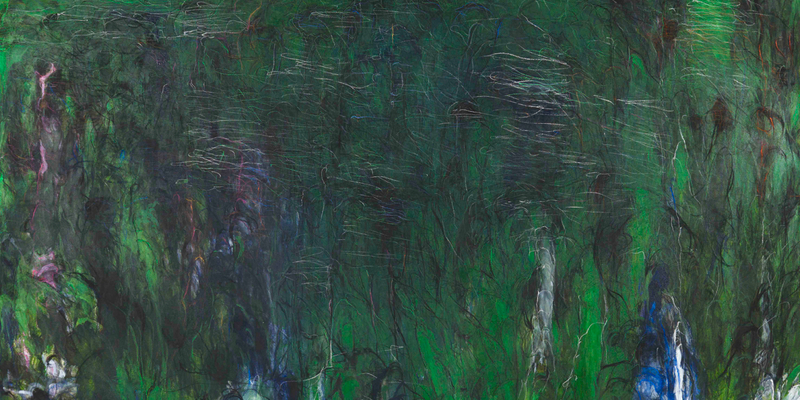 She then embarked on the green oil painting series and has been working on it since 2005. 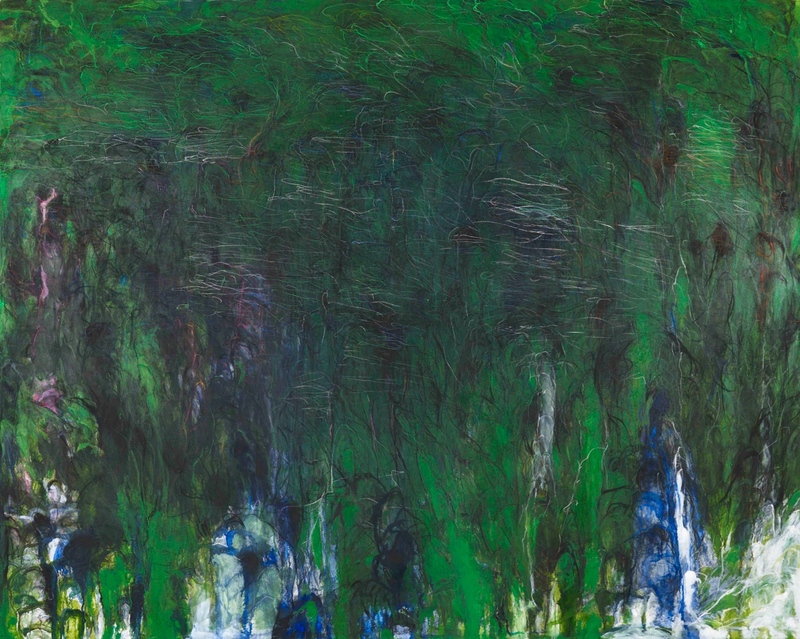 Matsumoto had a long burgeoning desire to make green paintings and indeed she felt a sense of challenge to do so but she also realized that she needed to re-engage with oil paint. 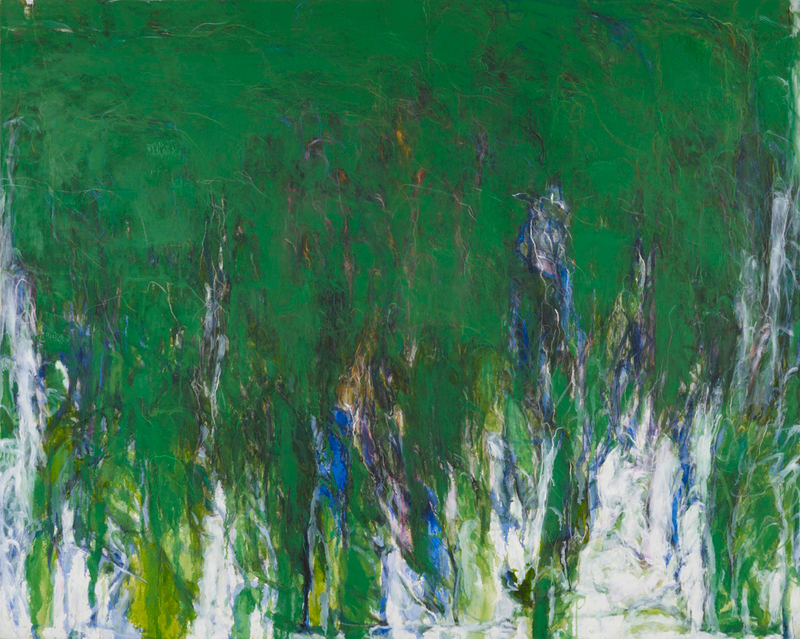 The earlier sense of discomfort with the material however, had already been sublimated through her artistic sense of discipline and this great enthusiasm to make works in green. 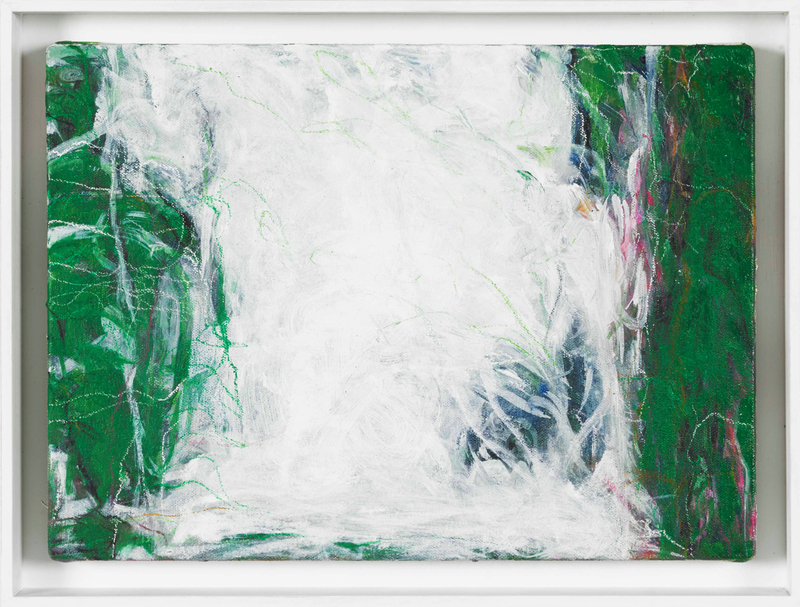 This led to a new kind of expression, which took the artist’s original form of green abstract paintings that combine a sense of light not dissimilar to her early acrylic work but with the added dimension inherent to oil paint. 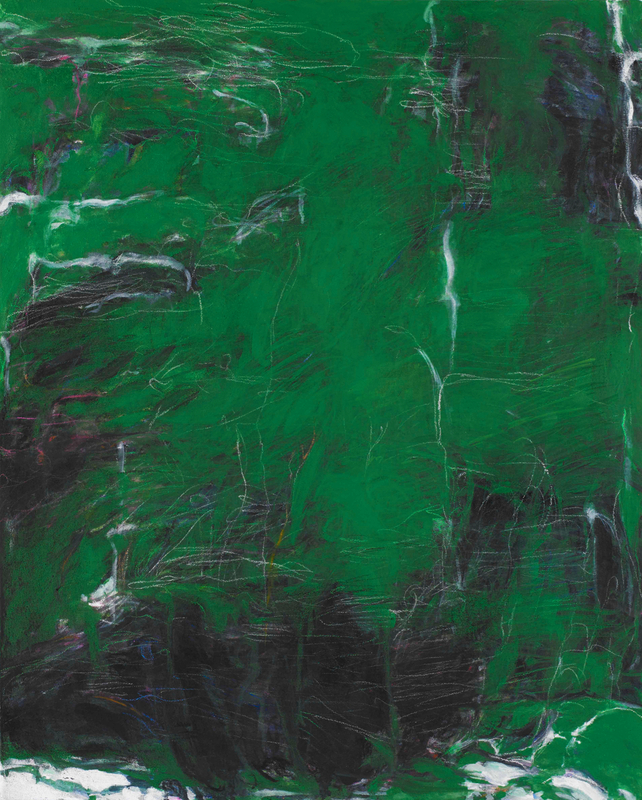 The largest work included in this exhibition combines oil painting with charcoal and oil pastel marks, which wildly and freely undulate across the canvas. 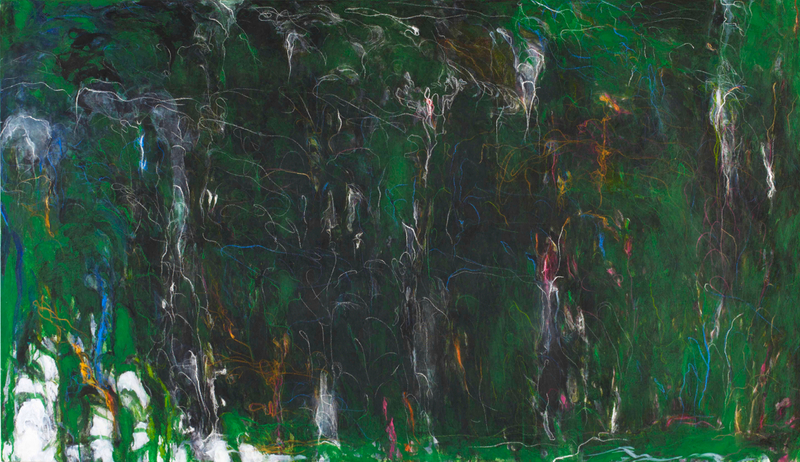 These processes and techniques activate the surface, and actively engage the viewer. 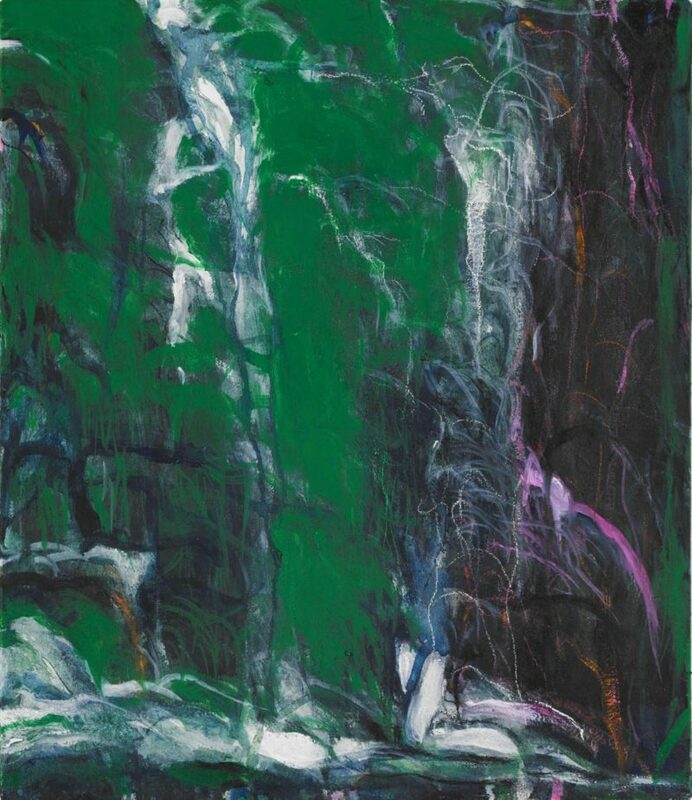 The exhibition title “Landscape-Like Surface Vibrates” precisely describes what this new work looks like but Matsumoto first gave this name to a pink acrylic painting in 1992 and since then, she has occasionally used this title for other works also. This indicates that the artist is continuously seeking new aspects in her painting as well as acknowledging her previous creations. 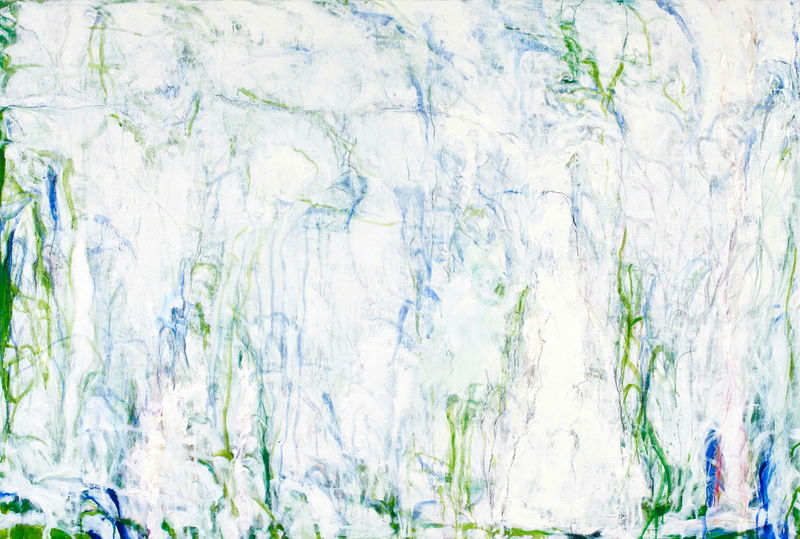 For Matsumoto, to paint is to find undiscovered scenery that she is eager to see at any one time and this elemental, pure and eternal passion for painting has been motivating the artist to paint for years and years. We hope you will enjoy Yoko Matsumoto’s most recent works which are sure to amaze you this time again.